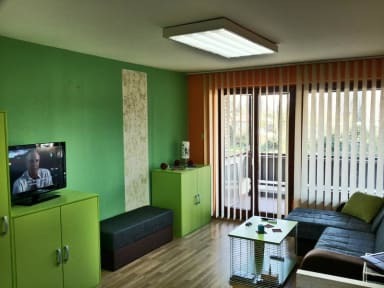 Hostel Podgorica i Podgorica, Montenegro: Reservér nu! If you want to cancel your reservation you must do it 72 hours in advance. Failure to cancel within this time will result in a cancellation charge equal to your booking. Now we are located 3 minutes from bus/train station and 3 minutes from main center area. We print our own maps of the city just for you and lot's of good tips about the city, country and balkan area. We have all schedules for buses, trains, plains, ferrys..
We can book you stay in other friends hostel in area. We organize you the cheapest rental cars in the city with full car insurance and no limit for driving. Payment upon arrival by cash, Check from 12pm to 10pm - Check out 11am. For check in after 10pm, please let us know. If guests doesn’t inform reception that they will arrive after reception is closed, hostel is not in obligation to wait for guest and guest will not be able to do check in. The host was very nice and helpful once he got there since we were a bit early. The room was decently sized with air conditioning and a table but very dark and no sunlight. And the air conditioning started dripping after the first night we used it and it was in the middle of a relatively small room so our stuff got a bit wet (luckily we were there and managed to move bags and shoes before any damage occurred. The bathroom and kitchen were very dirty especially the kitchen which smelled.